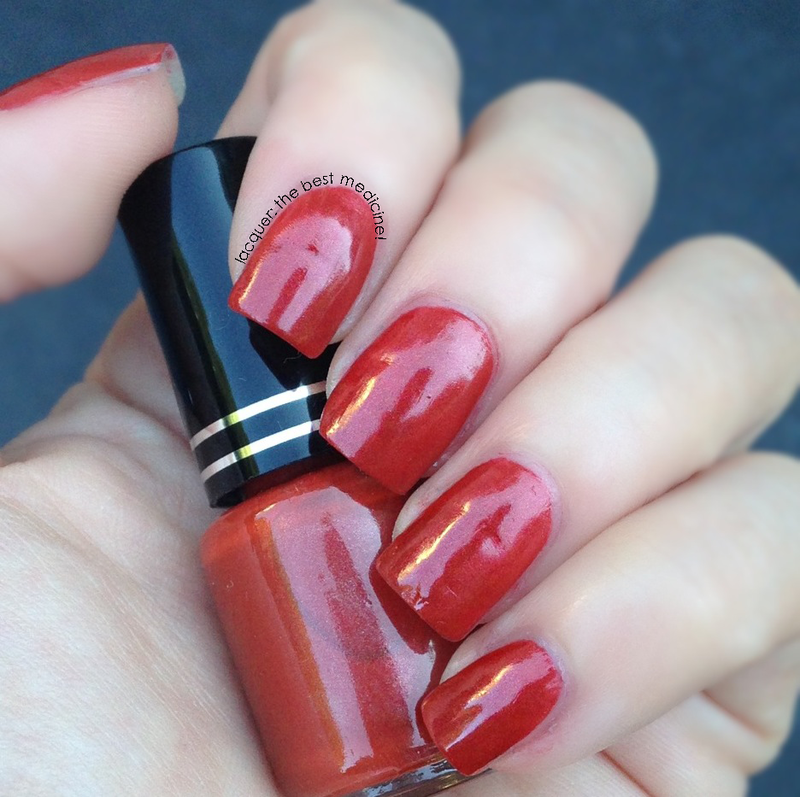 Today for Fashion Week Ariel of Lacquer is the Best Medicine is sharing some great simple fall nail colors with us! We all love the fancy glitter polishes. Whether it’s a glitterbomb in a clear base, a crelly with neon hexes, or a jelly with lots of circle glitters, we usually agree: the more, the merrier! However, I think I speak for many polish lovers when I say that sometimes I am just in the mood for a simple, basic polish. Whether it’s because I don’t want to deal with glitter removal or just because I am going for simplicity, sometimes I just want LESS going on on my nails. Well, lucky for all of us indie supporters, Pretty & Polished will soon be releasing their Basics Line – which is exactly what these polishes are: basic! Nothing too bright or out-there, some subtle shimmer, and some nice earth tones. So now when I’m feelin’ simple, I can reach for an indie brand! YAY! There are six polishes total in this collection, and all of them are very easy to work with. Let’s take a look! Luna is a bright shimmery blue with a slightly metallic look to it. It’s not the most original color, and I own several dupes for this one; but that’s a good thing, because it’s so pretty! =) Shown below is three coats of Luna without topcoat. And there you have it, lacquerbeans! Pretty & Polished‘s Basics collection is perfect for any indie polish supporter who just needs a break from all that glitter! 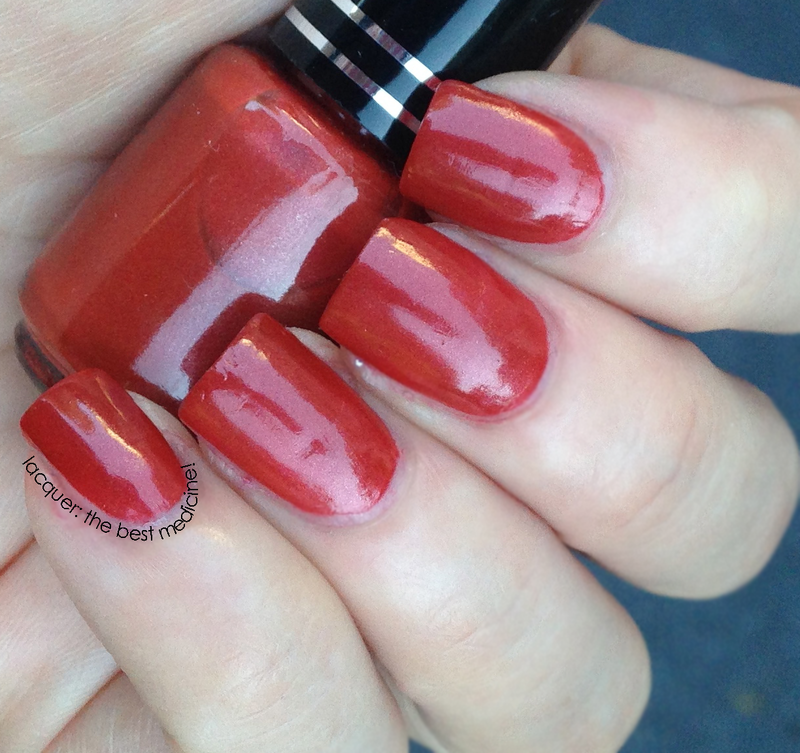 DOCTOR’S ORDERS: I’m loving Blaire – it’s the PERFECT fall shade!